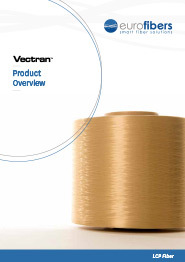 Vectran™ fiber exhibits exceptional strength and rigidity. It is five times stronger than steel and ten times stronger than aluminum on a weight for weight basis. It exhibits good abrasion resistance, good high-temperature resistance and high tenacity and modulus. Besides ensuring minimal moisture absorption and outstanding vibration damping characteristics, Vectran® is very stable under static loads, showing negligible creep. Vectran® is sensitive to UV light. Vectran® is a registered trademark of Kuraray Co., Ltd. Contact us now and find out what Vectran® can do for you. Vectran™ is a high-performance liquid crystal polymer (LCP) fiber offering a balance of properties unmatched by other performance fibers. Some of these unique properties were discovered through 20 years of research and development of the polymer Vectra™. Celanese committed to developing a thermotropic (melt processable) LCP in the mid 1970’s and commercialized the Vectra family of resins in 1985. Vectra LCP is virtually unaffected by most acids, bases, and solvents over a broad temperature range. Vectra LCP exhibits barrier properties superior to any other melt-processible polymeric barrier material. When we compare the permeability of various traditional barrier films to oxygen and water vapor we can conclude that permeation of various gases through Vectra LCP is not affected by humidity to any significant degree. Other gases for which LCPs exhibit above-average barrier performance include carbon dioxide, nitrogen, argon, hydrogen, and helium. Vectra LCPs have a coefficient of thermal expansion (CTE) close to that of glass. Other high-performance polymers typically fall in a range of 20 to 60 ppm/ °C. Vectra LCPs can perform from cryogenic temperatures to over 200°C with little dimensional change. Vectra LCPs are transparent to microwave energy and are virtually unaffected by exposure to 500 megarads of cobalt 60. Vectran fiber is a polyester-polyarylate fiber. 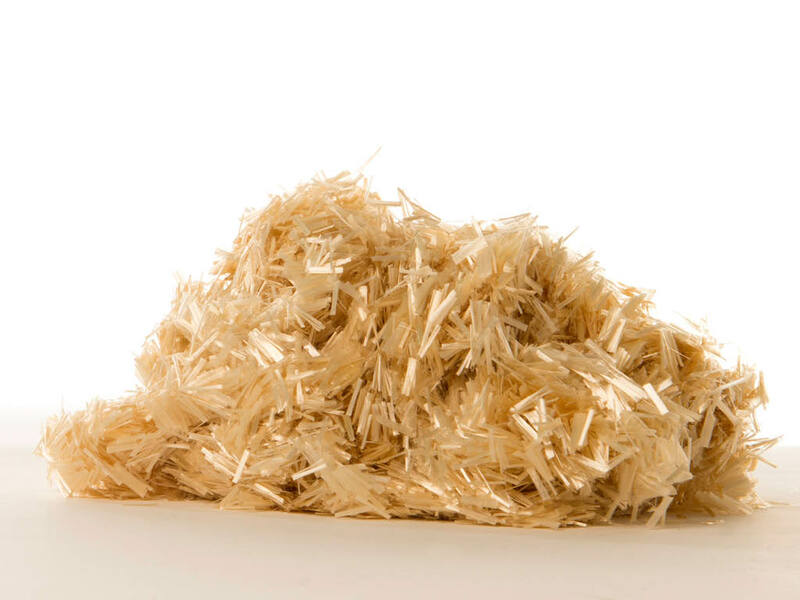 The differences between Vectran fiber and two other high-performance fibers, aramid and ultra-high molecular weight polyethylene (UHMWPE) are as follows: Vectran fiber is thermotropic, it is melt-spun, and it melts at a high temperature. Aramid fiber is lyotropic, it is solvent-spun, and it does not melt at high temperature. UHMWPE fiber is gel- spun, and it melts at a low temperature. In conventional polyesters, the molecular chains are random and flexible. The fiber must be further oriented, generally through a combination of extrusion speed and post-spin drawing, to obtain higher tensile properties. Vectran HS has tensile properties similar to the aramids. The tensile strength of Vectran fiber is conservatively listed as 23 grams per denier for 1500 denier yarn. Lower deniers have higher tensile strengths. In most cases, exposure to aggressive chemicals yields no appreciable change in properties, dimensions, or weight over time. Vectra resin is hydrolytically stable, resistant to organic solvents, and stable to some acids of <90% concentration. It is also resistant to bases of < 30% concentration, and it retains its chemical resistance at elevated temperatures. The chemical resistance of Vectra A950 Resin from which Vectran Fiber is produced is listed. These data indicate the test conditions and resulting ratings and represent limits of test apparatus and not necessarily limits of use. It is strongly recommended that the end user test any material in the actual chemical environment of product stream before use to determine its suitability. Changes in concentration, temperature, mixtures, or contaminants can significantly affect results. All chemical resistance data are based on average of five molded ASTM flexural test bars (5.0″ X 0.5″ X 0.125″). Aramid fibers have poor resistance to bleach and UHMWPE fibers are sensitive to high temperatures associated with drying. Therefore, the cost and performance of safety wear improves when garments can resist exposure to bleach and are durable enough to resist multiple wash/dry cycles without loss of strength or shape change due to shrinkage. Creep is the continued extension of a material when subjected to long-term loading. Resistance to creep is a critical component in material selection for many applications requiring long-term property retention (e.g. sailcloth, halyards, bowstring, marine cables, robotic tendons, etc.). An important property for certain rope applications, creep was measured on Vectran fiber, braid, and wire-rope constructions. For fiber creep tests, the change in distance was measured between two defined points, initially 2.0 m apart, on a 1500 denier/300 filament thread-line hanging vertically under load. With no twist in the fiber, no creep was observed in samples loaded to 25 and 33% of breaking load after 569 days. With 1.0 turn/cm. in the fiber, no creep was observed in a sample loaded to 50% of breaking load after 115 days, at which time the test was terminated. A major aerospace company conducted creep tests on Vectran braid. This company measured the change in distance between two defined points on a sample loaded to 37% of the rated breaking load of the braid. After initial construction adjustment, no creep growth was observed after 180 days. A manufacturer of high-performance ropes conducted a stress-relaxation test on a 1/2″ Vectran wire-rope construction. The test sample was tensioned to a fixed load; tensions were recorded periodically from load cells at each end of the sample. As creep occurred, the load decreased, and the sample was subsequently re-tensioned back to the original load. Creep was not observed on the Vectran rope. Lack of creep under simple loads up to 50% of breaking strength is one of the unique and most beneficial characteristics of Vectran fiber. Test procedures for determining abrasion resistance in the rope and cable industry reflect particular use requirements rather than adherence to a widely accepted industry standard. An independent rope and cordage industry test facility conducted abrasion tests on 1500 denier thread-lines to obtain a qualitative comparison of abrasion resistance between Vectran HS and Aramid. Cycles-to-failure were recorded by using the test arrangement described by the testing facility. The higher the number of cycles-to-failure, the better was the abrasion resistance of the sample. Failure was defined as the thread line breaking. For wet testing, samples were soaked in water for one hour; the test was then conducted in a beaker of water with the crossover twist fully submerged. When a marine finish was applied to Vectran HS and aramid, Vectran HS showed significantly better results in both dry and wet tests. 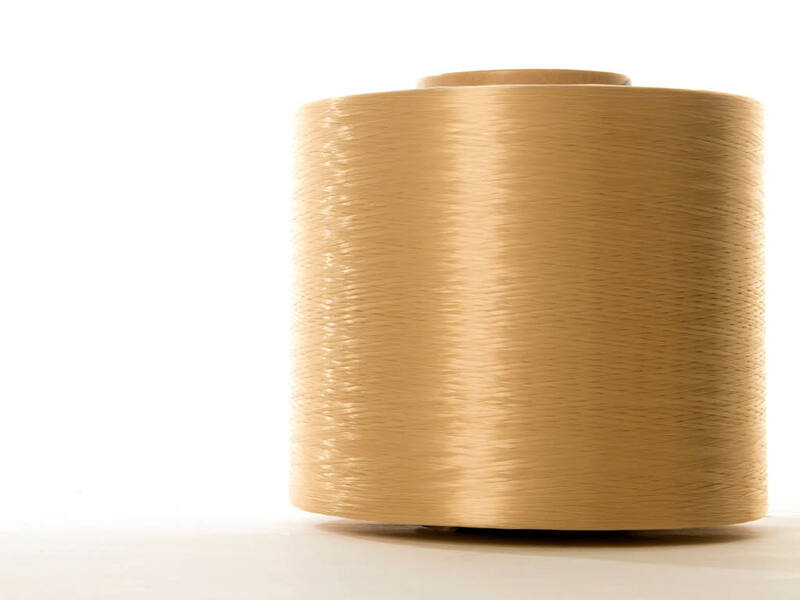 Samples of Vectran HS 1500/300 fiber with T-97 finish were evaluated on an eight-position yarn-on-yarn tester versus a range of competitive yarns including Aramid A, Aramid B, Aramid C, Aramid D, and UHMWPE. Dry/wet testing included eight replicates. Results are shown in Tables 9 and 10 respectively. Samples tested contained no twist. Previous tests confirmed that twist level in fiber samples has a dramatic impact on abrasion resistance. In general, twist improved the abrasion resistance of Vectran and detracted from UHMWPE. Submersion in water offers some lubrication improvement for Vectran. UHMWPE showed greater improvements. The Aramid group of fibers all performed worse in water. The microfibril, is the fundamental building block in polymers made from flexible linear molecules. Microfibrils are observed in highly oriented, high modulus fibers such as the lyotropic aramids and the thermotropic liquid crystal polymers (Vectran). These fibers have in common a factor of ten, weaker compressive strength than tensile strength. Failure generally occurs by strain localization or energy absorption via formation of kink bands and by fibrillation. The molecular basis of kink band formation has been a subject of a number of studies. The highly oriented Vectran and aramid fibers have ordered microfibrils arranged parallel to the fiber axis. This orientation provides the excellent stiffness, or high modulus, as well as good tensile strength. Folding yarns or fabrics causes compressive strain resulting in local, microfibrillar misorientation, which appears as a kink band. Kink bands form in the three-dimensionally crystalline aramid fibers and in the liquid crystalline Vectran fibers. It seems apparent that the fibers do not need to be crystalline to form kink bands.  Typically, the kink bands are at a local, high angle bending along the chain axis. The boundaries are well defined and can be observed in PLM (polarized light microscopy) as dark bands or stripes at about 45° to the fiber axis. The kink bands may be dislocations due to a buckling and breaking of the stiff polymer chains. High resolution imaging by transmission electron microscopy shows chain buckling. Scanning tunneling microscopy shows buckling as well as local microfibrils, about 10 nm in diameter, which appear to be broken. Once enough microfibrils are broken with the kink band, the entire fiber will fail. The cut resistance of Vectran became very apparent during the first days of making the fiber. Cut resistance tests are many and varied. Uniformity of test sample and cutting edge is critical in any cut resistance test. Twisting is the process of combining filaments into yarn by twisting them together or combining two or more parallel singles yarns (spun or filament) into plied yarns or cords. Twisting increases strength, smoothness, and uniformity. Twisting plied yarns or cords forms cables. The number of twists per inch of cord or cable is often called picks per inch (PPI). UV resistance is an issue with fabrics and ropes exposed to the elements. Many finishes, coatings, taffetas, and over- braids are available that ameliorate the effects of UV radiation. UV tests were conducted on a 0.6 cm diameter 12X1 braids of different fibers. Braiding a polyester jacket over a Vectran core helps reduce the strength loss due to UV. The outer fibers of the braided rope appear to protect the inside fibers from damage, explaining the leveling out of the tenacity curve.